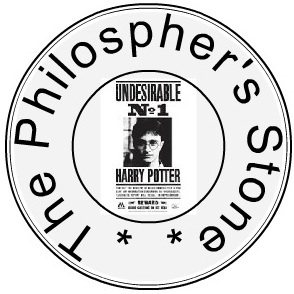 Curtain Raiser to Harry Potter Festival and Brand new logos! Hello Everyone!! Well I am quite excited. Starting my first ever “Harry Potter Festival” !! Yesssss!! Do I hear some “Noooos”. Don’t you worry. We live in a democratic nation and like the world is divided into male female, Americans and other countries so is the world divided into- Potter fans and Nor Potter fans. Therefore “Harry Potter Festival” will bring all kinds of people under one roof. And the freedom of expression is not restricted to ” I can die for Harry Potter”, it is extended to “I hope Harry Potter dies”. As you may have understood, let the battle begin. Let this one turn out to be true celebration of Potter mania, those touched by it and those suffocated by it. So people!! Put on your sorting hats (the potter fans) and writing hats (non potter fans) and churn up posts centered around the boy who lived. There must be things you feel about Potter, things that need to be expressed, let the creative juices flow. Here is hoping some great and fabulous posts get going!! The thoughts that can be generated are of course endless. Each one of us can come up with different kinds of posts and expressions. And I am sure each one of the write-ups will be one of their kind. Festival will start at twelve o’clock tonight. But I am kicking off the pre info circulated to generate some excitement!! 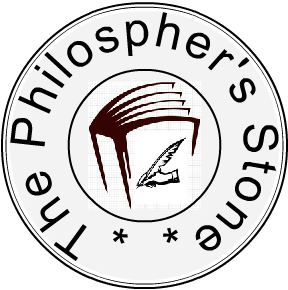 And yes now, “The Philospher’s Stone” has its own logo! Designed and created by one and only Vikas Agarwal. *drum rolls* here it is! 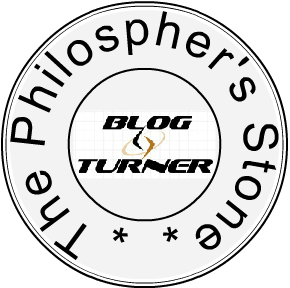 And he did not just stop at this, he further helped create a logo for our recent venture Blog Turner. But the one that you all need to remember for one whole week is of course this one! Now I know with all this information you have already started to feel the excitement! Lets make this one a memorable event guys! Here is hoping all of you will at least put up a post. The post at twelve o clock will have the linky and also more details for the festival. So do not forget to check back again! The logos are all superb, Vikas Agarwal! 🙂 Richa, you rock, you already know that. Hugs! Hi Richa I’m not sure if I’ll die for Harry or try to kill him. lol Unfortunately, I know very little about him having just watched one movie and missed all his books. I’m a little embarrassed to admit that but hopefully a celebration for Harry Potter will bring me more in contact with the books and movies!